The first part of the Questions Management application that we need to implement is the section that governs which categories the questions belong to. So, in this tutorial, I will start by adding an interface for the management of these Categories. 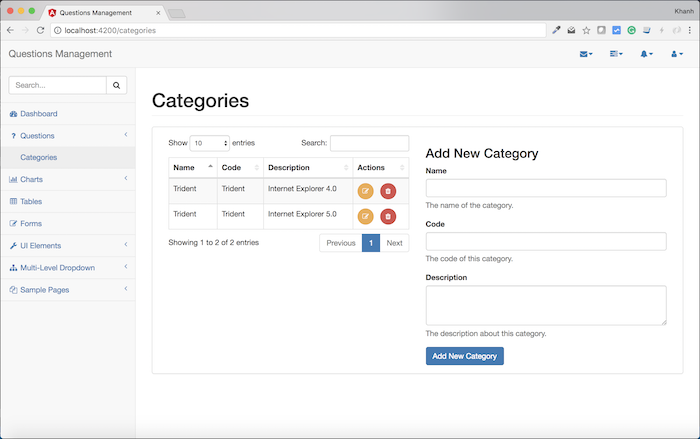 This interface will allow us to add, edit, delete, update Categories easily. OK, let’s get started! 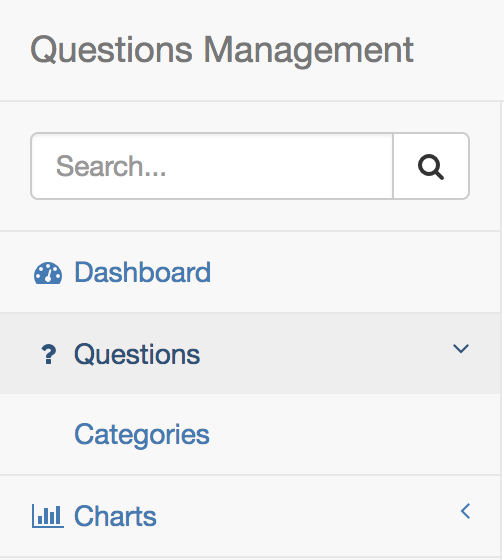 For ease of management, all things related to the question, I will group them in the menu item Questions in the left sidebar. 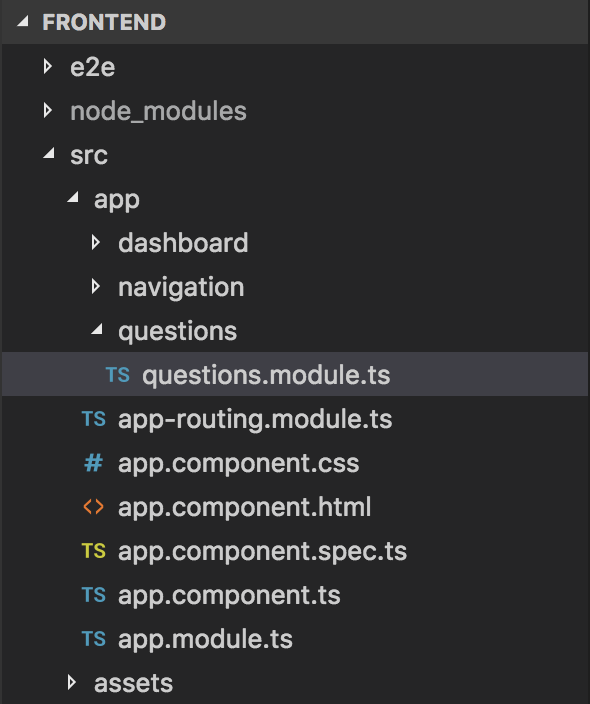 In the code above, I added a menu item called Questions that acts as the root of another menu item named Categories. In the future, I will add some other menu items within this Question menu. 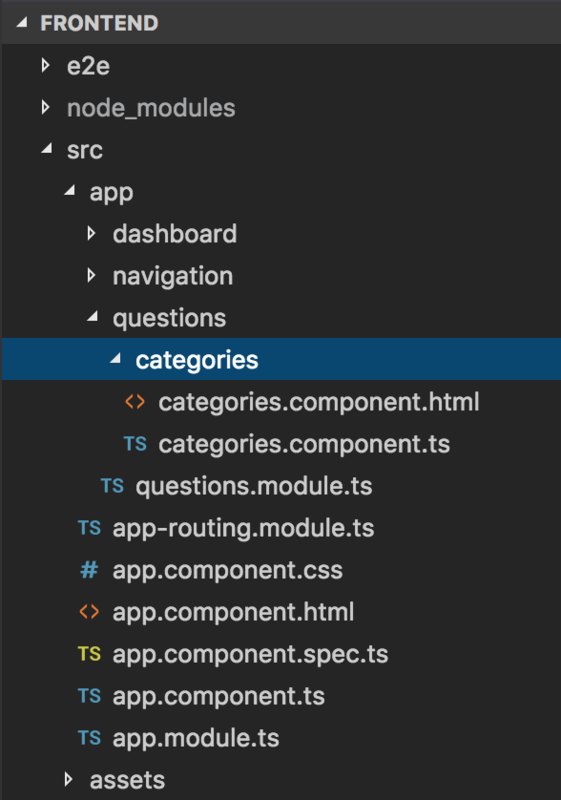 To build the interface for Categories, you will first add some libraries that you will use to build this interface first. Although these libraries have newer versions, I only use older versions that are compatible with the template we are using, SB Admin 2. The last step we need to do is to edit the left menu for the item menu using the Angular routerLink directive so that we can navigate to the Categories page.